Maple hardwood flooring is durable and beautiful. Maple flooring has numerous styles — or patterns — to choose from; birds eye maple, hard rock maple and tiger maple being examples. For the environmentally concerned, reclaimed maple hardwood flooring could be for you. This have been finding a lot of takers in recent years due to the consistent awareness efforts by various NGOs and government agencies. Check maple prices to ensure you have the best deal for your situation. Whether you are going for gym flooring in maple or just flooring your house, solid maple flooring is worth considering. The best way to ensure that you are getting the best prices is to ask around. Chances are that there is someone in your friends’ circle who has already gone for maple hardwood flooring. Or better still, you can go online and check for the prices in your locality. Do you know what basketball and maple flooring have in common? Maple flooring is widely used in basketball courts and other sport arenas throughout the world. Maple is durable flooring (its Janka hardness score is 1450) that looks beautiful and it allows athletes to get traction. That is why it is used so often on professional, college, high school, and younger children’s basketball courts. It is also used in other sports arenas as well as bowling alleys. However, maple flooring is not just for sports anymore, it is also widely being used in homes across the world due to its beauty and practicality. Maple flooring’s colors vary from a light tan to a light brown in color. Most of the time, both colors are used when installing maple flooring in homes and in gyms to keep it looking natural and to play up its aesthetic beauty. Maple flooring can be used in any style of home. Its lighter color helps to brighten up any home and draws attention to the home and decoration rather than immediately to the floor. Decor can be changed easily as maple flooring will flow with almost any decorating style and idea. The best way to give your bedroom or the drawing room a renovated classy look would be to give in a maple hardwood flooring. You may also suggest your local gym to consider changing to this flooring due to its high durability and longevity. If you are looking for a floor with history, then you may want to consider reclaimed maple hardwood flooring for your home. Reclaimed wood is flooring that has been rescued from demolished homes, mills, ships, barns, etc. Most of the wood is at least 70 years old and some of the flooring may even date back to Civil War times. The rustic look of this flooring is what gives it character and interest. Yet you never know who has walked on these floors before! You need not worry about the longevity of reclaimed maple hardwood flooring because most of it has been checked carefully before sending it to the market. Also, by giving it a coat of polishing, you can be assured that they will last long as any regular maple hardwood flooring will. So there you have elegance, longevity and a product that is environment friendly. What more could you ask for from your flooring? There are many different kinds of maple flooring available. Each has its own character and look. 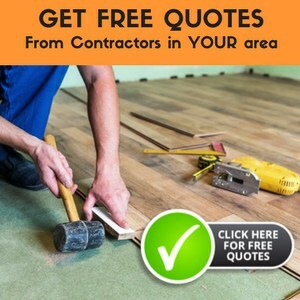 Compare the prices and look of all of the different kinds of maple flooring to make sure that you are getting the look that you want for your flooring budget. Research several different flooring manufacturers as you would be surprised by the price differences that occur between companies. Whether you choose Hard Rock Maple or Birds Eye Maple flooring, you are sure to have a floor that will be beautiful for years! Choose something that will reflect your personality and character. Maple flooring is easy to maintain and keep clean and is great for homes with people with allergies. Allergens cannot get ground into wood floors, so it is much easier to reduce the allergen level in your home by keeping your maple flooring or other hardwoods clean. If you are looking for beautiful floors for your home that will help to reduce your allergies, then maple flooring is a great choice for you! If you are looking for a way to update your floors and make your home look great, then you will want to consider installing solid maple flooring. The color of the maple floors will look great in any style home with any style of decor. Maple flooring will add interest and value to any home as well as giving it a welcoming feel. Choose maple flooring for your home, just be sure you tell your kids that it is not a basketball court! For some people, that would be great, but not what this site was designed for. There’s sites (like Craigslist) for this. Thanks for dropping by! I am looking for 25-30 board FT. of maple flooring. I need to make some butcher blocks for the wife and in-laws. You should be able to find some locally very easily. Start by finding out if there are any lumber yards in your area. I have recently been searching for hardwood and i have located a place that carries unfinished hard maple, red oak, white oak and hickory for .99 sgft. Which one would be the best to give me cherry finishes? I would choose the Maple or Red Oak as they have a finer grain. I personally like my cherry flooring to have a nice fine grain. Have you asked the people selling the wood their opinion as they might have a cherry product that falls within your budget! I’m thinking of buying 500sq ft of maple flooring reclaimed from a gym, but I’m concerned about how difficult it will be to install. The wood is cheap, butI don’t want to end up spending way more on installing it. Any thoughts on how difficult it is to refinish and install a reclaimed gym floor? A friend of mine purchased recycled flooring and she shared her experience with me. She did have the flooring milled before installation and refinished after installation. It was a bit more expensive up front although the trees she saved made it an awesome way to recycle and worth the extra effort. I hope that helps as that’s the only experience I have with re-purposing gym flooring. We have recently purchased a new home and had 4″ maple floors installed in the kitchen and dining room. The floor squeaks terribly throughout both rooms. The sound appears to be generated on the “groove” side of the boards. The “tongue” side, when pressed – makes no noise, the other side does. When a sqeaking area is located, you can watch the board flex underneath your foot. The builder and floor manufacturer both say it is not an issue that maple floors can do this. The subfloor and hardwood have both been moisture tested and appear to be OK. Should a 4″ plank Maple floor squeak with every step? Can’t decide between red oak and maple. I don’t want too much grain (as some oaks seem to have), but sometimes maple looks too boring, as it has virtually no grain. Also, would scratches be more noticable on maple? Usually squeaks in floorboards mean they have loosened and the boards begin to move against each, squeaking, when pressure is applied. Some use nails or screws to help offset the squeaks. I would contact the installer and inquire if they could come take a look at the boards in question and inquire how they would lessen the squeaks if your floor is still under warranty. Mike, another thought about your squeaking floors is that either the subfloor is flexing (because it’s not supported well and needs more bracing) ar because the subfloor isn’t level (a problem I have at my house). Since you didn’t say whether the boards are nailed/stapled or cliked it’s hard to know how the installation itself might be at fault. How can you tell which the tongue or groove side is, given they nestle. I mean, aren’t both sides of the installed board actually tongue and groove? Maple no grain!? No, say it isn’t so. Maple can have a leather type grain if the stain is on the darker side, the look it gives is quite luxurious. Hard maple is extremely durable and as for showing scratches sadly most floors will show them if they are deep and cut through the finish and the stain. I bet the floors are beautiful! Myself, I would go to my local flooring store and see if I could match it up the best I could!